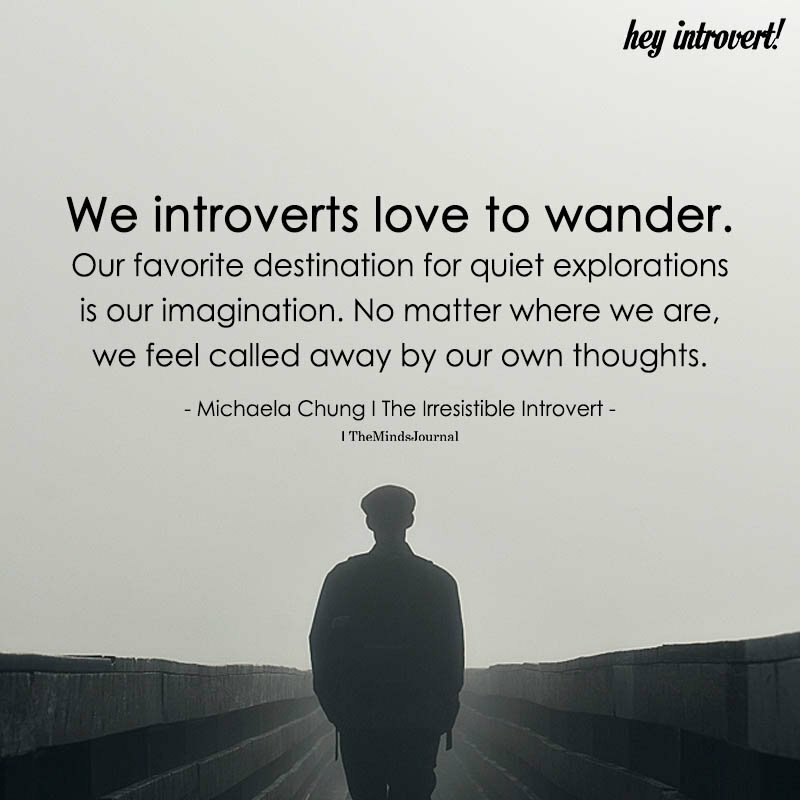 We introverts love to wander. Our favorite destination for our quiet explorations is our imagination. No matter where we are, we feel called away by our own thoughts.